Posted on 2, September 2016 by EuropaWire PR Editors | This entry was posted in Education, Science, Technology, United Kingdom and tagged biggest biomedical research institute, Francis Crick Institute building, Professor Jernej Ule, Professor Michael Arthur, UCL. Bookmark the permalink. LONDON, 02-Sep-2016 — /EuropaWire/ — The first scientists have moved into the new £650 million Francis Crick Institute building in London and are starting work in their purpose-built labs. Next to St Pancras station and the British Library, the Crick will be the biggest biomedical research institute under one roof in Europe. Leading UCL researchers are among the first to move in, including Professor Nicholas Luscombe (UCL Genetics Institute) and Professor Jernej Ule (UCL Institute of Neurology). The Crick has been established through the collaboration of six founding partners: the Medical Research Council (MRC), Cancer Research UK (CRUK), Wellcome, UCL, Imperial College London and King’s College London. Professor Michael Arthur, President and Provost of UCL, said: “The Francis Crick Institute is a once-in-a-generation opportunity for the life and biomedical sciences. Our commitment builds on UCL’s role as one of Europe’s largest and most successful centres for biomedical research and we are confident it will expand and enhance our already pioneering research. Having the Crick on our doorstep gives us the opportunity to form a world-class biomedical cluster for innovation and excellence in the heart of London. Being a founding partner of the Crick strengthens the translation of our remarkable research into new therapies that benefit human health. Research groups will continue moving in each week until the end of the year, as lab space is adapted for each group. 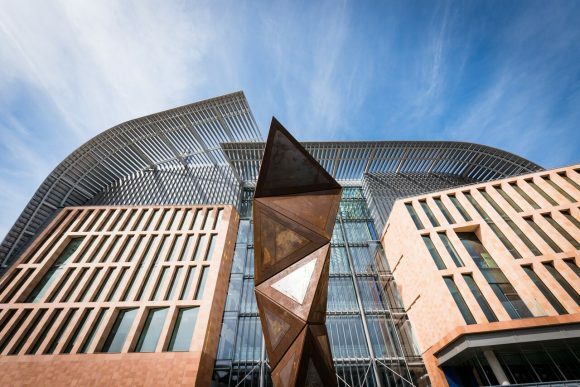 The start of 2017 will see the Francis Crick Institute up and running with all 1250 scientists and 250 other staff moved in and research projects ramping up. “We are all extremely excited about being in the new Crick Lab as it’s a big step for our group. There is no doubt that the new lab is going to enhance our work,” said Professor Jernej Ule. “Firstly, it’s going to expand our research capabilities as we’re going to have access to the cutting-edge equipment, such as new imaging and biophysical techniques. With the help of experts in these techniques, who are based in the Crick, we will able to take our research to a greater cellular and molecular resolution. I am excited about the prospect of work in partnership between institutes – the UCL Institute of Neurology, where I have been based, and the Crick. On 1 April 2015 the MRC’s National Institute for Medical Research and CRUK’s London Research Institute merged to become the Francis Crick Institute. These research groups are being joined by scientists from UCL, Imperial and King’s, who bring with them specialist knowledge, skills and resources across a range of scientific disciplines. Collaboration and interdisciplinary working is designed into the Crick. Research groups from different disciplines and from different original organisations have been given neighbouring lab space. Coupled with lots of open work space, breakout areas and shared core facilities, this means scientists can’t help but bump into each other, have conversations and share ideas. It is all expected to lead to the generation of new insight, research directions and innovations.